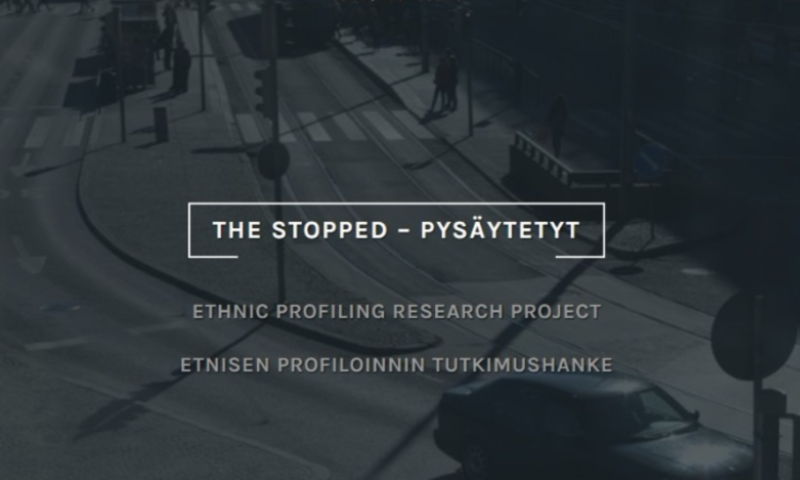 The project The Stopped – Spaces, Meanings and Practices of Ethnic Profiling examines ethnic profiling in Finland with a focus on its prevalence, forms and interpretations of (1) people experiencing profiling and (2) the police. The project analyses also the practices and logics that lead to ethnic profiling. The aim of the project is to enhance understandings of the phenomenon and to make it visible in the society through the means of research, art and journalism. The research produces knowledge of the ethnicised, racialised, gendered and generational distinctions and practices related to profiling. It also develops understandings of the effects of ethnic profiling for those who are targeted by it. The project analyses the strategies of people who experience being profiled as they seek for means to act in situations of and contest exclusionary practices. The research combines several kinds of quantitative and qualitative methods and data: individual and focus group interviews, participatory observation, and survey questionnaires. This project is funded by the Kone Foundation (2015-2019).